Their mission is simply this: to help people have healthier skin naturally. S.W. Basics is an all-natural, five-ingredients-or-less, sustainable (the bigger goal is to make products that contribute to supporting family farmers, small American manufacturers and value-driven partners) skincare company based in Brooklyn, the kind of company that’s still very rare to find and that I, for one, am finally relieved to put my complete trust in to deliver simple, real, active, whole ingredients that are as good to put on your body as they are to put in your body – yes, those very ingredients that you find in your kitchen. 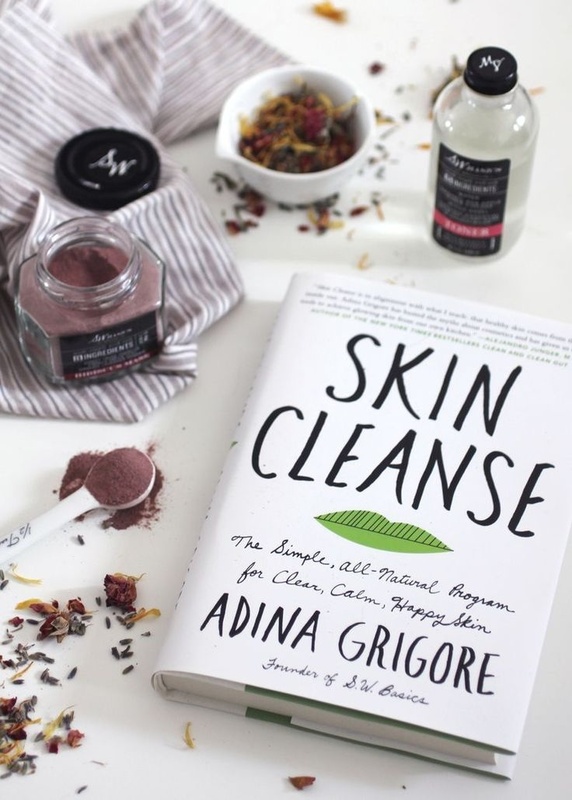 That’s exactly how founder Adina Grigore started out: by getting rid of all her make-up and turning not to a pharmaceutical counter, but to her kitchen cupboard to help her sensitive skin. I have reached out to Adina to learn more about her inspiring story and brand, and to pick up a few beauty tips that you don’t necessarily find in a beauty jar. That’s what I love so much about Adina: she is just as passionate about creating her products as she is open to sharing DIY recipes and letting you reap the awards by encouraging you to make them yourself. The even better news? She has put all her natural beauty secrets into her new book, Skin Cleanse: The Simple, All-Natural Program for Clear, Calm, Happy Skin . What prompted you to start S.W. Basics? I have really sensitive skin and a background in holistic nutrition. I felt like so many beauty products on the market are super complex and full of unknowable ingredients. I wanted to make something simple and completely natural that would work for my skin, and decided to sell it so that people like me would have an alternative as well. It means feeling good about yourself. I think beauty is about so much more than how you look (or how your skin looks), and we should all be making each other feel more beautiful. How is S.W. 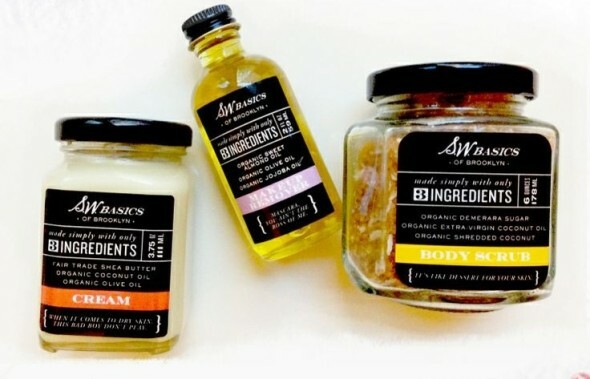 Basics different from any other organic skincare brand on the market? 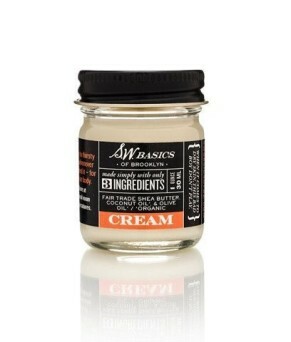 Every product is made from 5 ingredients or less, and all of the ingredients are super wholesome, gentle, and potent. 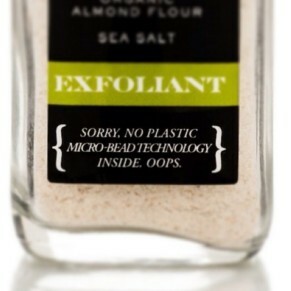 Nothing is in our products for the sake of the product, it’s all there for your skin. Healthy, glowing skin is lying in your kitchen. and to developing healthy habits that will last a lifetime. You started your company by quitting make-up and turning to the organic ingredients you had in your kitchen to give a new life to your face. What is your philosophy towards make-up now? I’m 30 now and have started feeling the pressure to wear makeup in order to seem more professional. I think that’s an unfortunate reality, though I resist it as much as possible. I think wearing makeup sometimes is really fun though. I don’t wear any most days, but I wear some mascara on the weekends, and foundation or BB cream for big meetings or events. 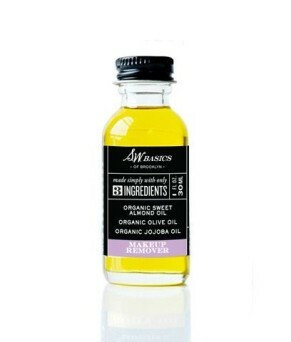 Do you have a favourite ingredient you use in your products? Why? These days I’m really loving the rosewater in our cleanser because it’s so cooling and soothing, but usually my all-time favorite is shea butter. It heals virtually all ailments. It’s magical. If someone decides to go green today, what is the first product from your line you would recommend? Why? The makeup remover for being the most affordable, or the cream for being most versatile and healing. What do we need to look out for when we buy organic Skincare products to make sure we get the real thing? Check the ingredient list. Can you read everything on it? Or are the ingredients translated so you know what they mean? Is there a lot of “derived from”? (If so, skip it.) Is the natural ingredient at the bottom of the list or the top? Aim for products where you can really tell what’s going on. Can we make our own skincare treatments? Would you care to share with us two recipes we can mix up in our own kitchen? Mix well until they combine, and apply like you would face wash, then rinse with warm water and a soft washcloth. You’ll feel clean and dewy! Take this combo into the shower and let it run over your scalp, hair, and face to help balance your pH, deal with flakes, and leave a fresh rosy look! Any beauty secrets you can let us in, the kind we don’t find in a beauty jar? Drink more water. It is the fastest way to improving your skin. Are we what we eat? 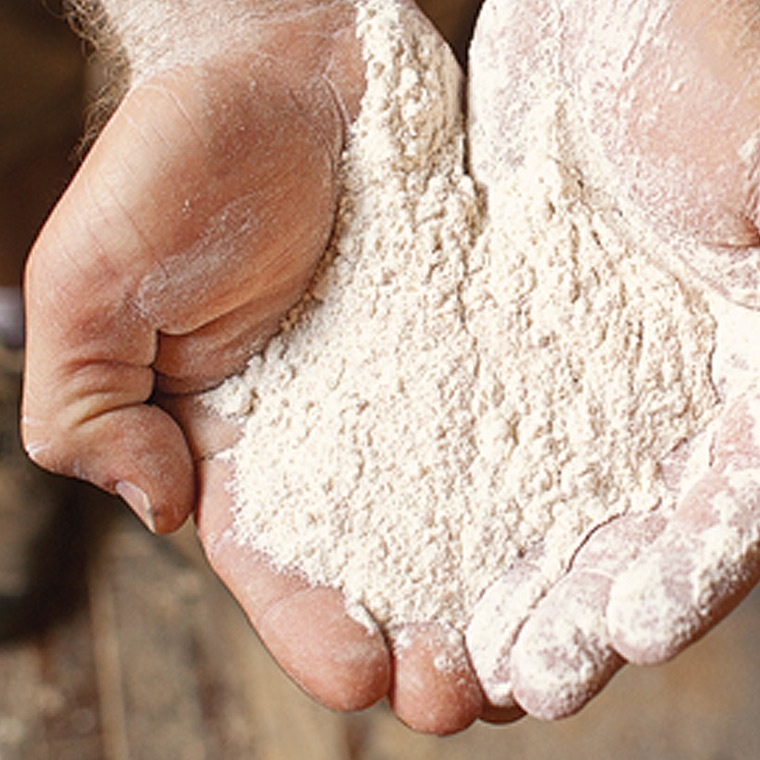 Your products are made from five ingredients or less. 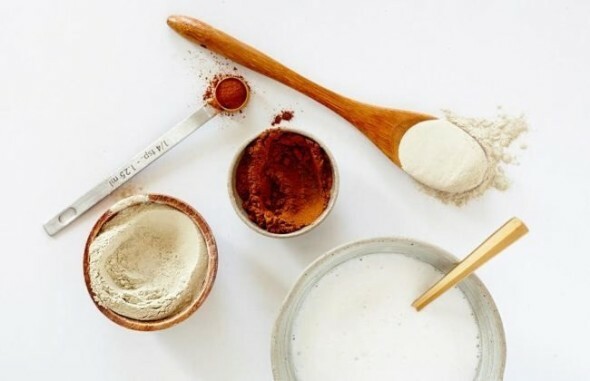 What are five foods that should be part of our beauty routine? Absolutely, 100%. Dark leafy greens should top your list, followed by avocados, fresh fruit like papaya, coconut oil, and fermented foods like sauerkraut. What is the most common mistake women make when it comes to their beauty regime and that they don’t even realise? Using too many products without stopping to see if they’re actually working (or alternately, making their skin worse). Can you share a few stress-free skin tips for the summer? Moisturize often, remove your sunscreen and your makeup, and cut back as much as possible. Let your skin breathe and show! How do you feel about aging in today’s society (especially the American one) obsessed with staying young at all costs? I understand the pressure and think it’s terrible that it’s so suffocating, but I think it defeats the purpose to judge women making very personal choices for themselves (like to get Botox or plastic surgery). I will say that our hate for wrinkles mystifies me, but I’m not there yet, so I’m probably not one to talk. My family, my hubby, my coworkers, and all of the people we get to interact with each day thanks to the brand. People are fighters, and they work so hard. I’m constantly impressed and inspired. To be patient and resilient, and to meet people where they are. I’ve learned to listen and that it’s best to permanently withhold judgment. You can find the S.W. 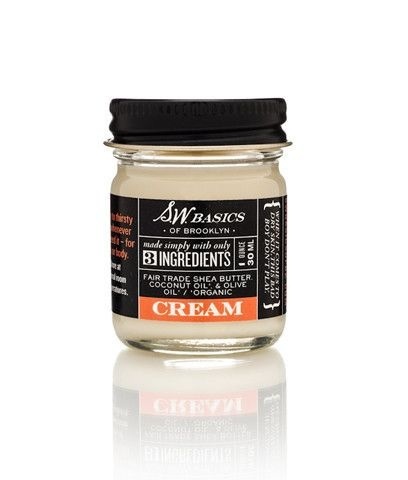 Basics products here and you can also purchase Adina Grigore’s book, Skin Cleanse: The Simple, All-Natural Program for Clear, Calm, Happy Skin , also available here. This entry was posted in Beauty & Beautiful Living, Interviews, The Makers . Bookmark the permalink. Your interviews series is really great, Ada! Thank you for the introduction. Besides RMS Beauty, this is one other skincare brand I am willing to give it a go. 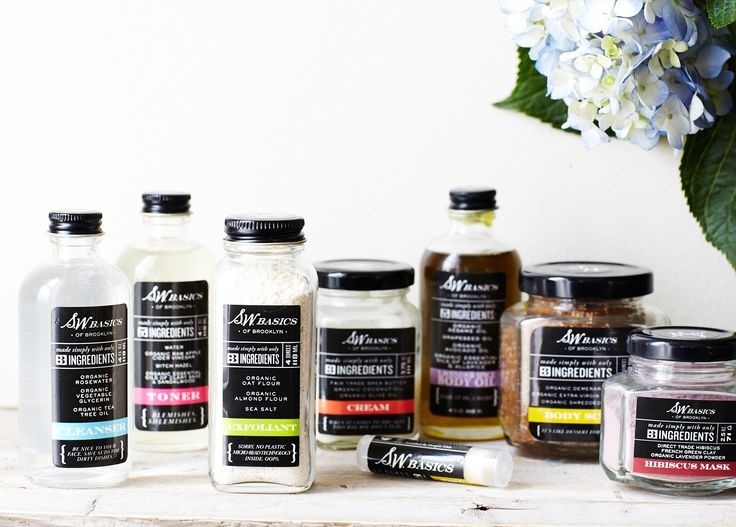 I am still very skeptical about many so called all-natural products on the market, but I am finally starting to figure out what I must pay attention to when I am looking for truly healthy products. Thank you for posting this interview. I read her book and it was quite the eye opener. Especially the page where she draws all the layers of the skin and tells us all the layers need to be healthy for good skin and some cream on top is not going to do it all. Great words of wisdom. I have her lip balm and its serious magic. I am glad she is expanding and that i can find her products everywhere. I used to pay shipping for it. i always love your interviews ada. as i’ve gotten older i’ve been trying to find great skin products (it all seems to happen overnight!) and i feel like they are just filled with so many things that usually end up irritating my skin. these sound lovely. and i also loved her diy tips!